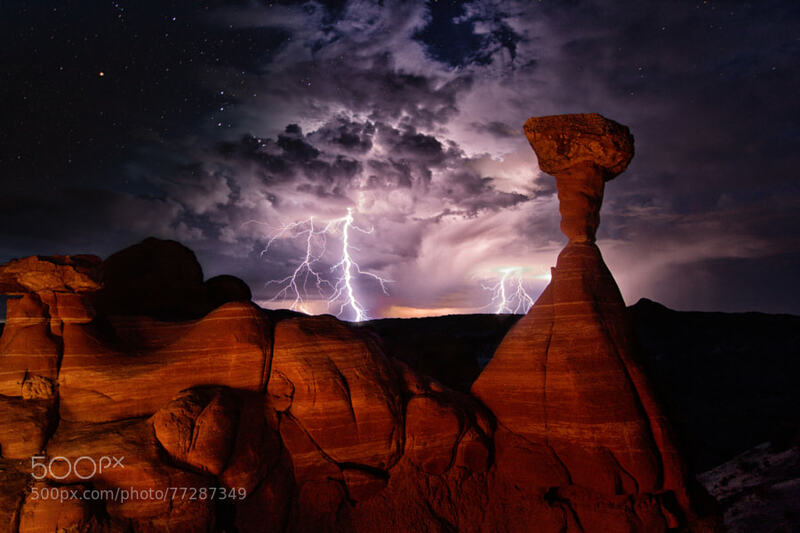 What a spectacular photo of some hoodoos in Escalante and an amazing lightning show. This is just down the road from Bryce Canyon, in Escalante Utah, or the Grand Staircase-Escalante National Monument. The photographer titled this image “War in Heaven”, and I believe it’s aptly applied.